A bit of a personal post this evening... what a great day it was for our family! We decided last minute to make a little trip to Apple Hill. Can I just say how much I LOVE Apple Hill?! If you have not visited, and you are local to the area, all I can say is make a trip! We visited a grower called "Denver Dan" and picked a whole 4 lbs of beautiful apples. I just have to say that Denver Dan's was a little more off the beaten path and not one of the most popular growers. The owner and his wife were SO so sweet. They gave each of the kids a peeled, cored apple to munch on... and they gave us a family sampling of FRESH apple juice... nothing like apple juice you buy at the market. And they even gave us a cobbler and ice cream. They were the sweetest. most generous people! So if you visit, stop by their orchard. 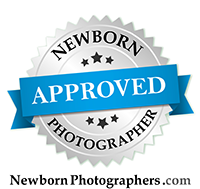 AND, if I have any clients who are interested in a photo shoot in the Apple Hill region, please let me know. I love visiting this place, and I think that a morning, or evening shoot would be SO fun... and beautiful, as you can see below. Hope you had a great weekend!